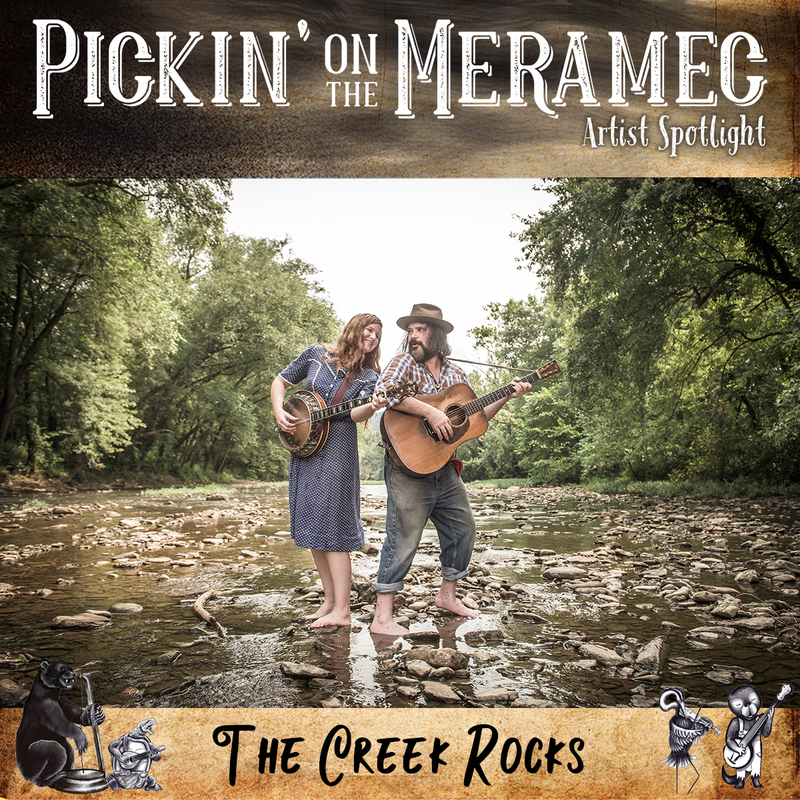 The Creek Rocks ​are a folk group from the Ozarks led by banjoist Cindy Woolf and guitarist Mark Bilyeu. These longtime musical collaborators worked together on Cindy’s three CDs of original songs starting in 2005, they married in 2013, then established The Creek Rocks in 2015. Mark is a founding member of Ozarks family band Big Smith, with whom he toured andrecorded for sixteen years. Their debut release, “Wolf Hunter,” is a collection of sixteen folk songs from the Ozarks, drawn from the collections of folklorists Max Hunter of Springfield, Missouri, Mark’s hometown; and John Quincy Wolf of Batesville, Arkansas, where Cindy grew up. Joining them on the album are bassist Jason Chapman of the Chapmans bluegrass band and percussionist Jay Williamson, also of Big Smith, who currently serves as the band’s go-to live percussionist. Cindy and Mark often perform as a duo, but are also buttressed by a host of musician friends when a full band seems decorous for the situation. “Wolf Hunter” has gathered critical accolades for The Creek Rocks, including the prestige of their photo gracing the cover of the September 2017 issue of Acoustic Guitar Magazine, along with a feature article. Prior to that, a profile of Bilyeu appeared in the March 2014 issue of Flatpicking Guitar Magazine.